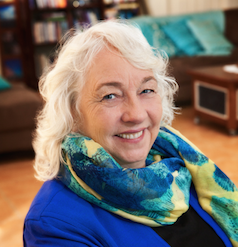 Hi I am Sheila Kennedy; as long time Energy Facilitator and teacher and in working as a spiritual / metaphysical practitioner for many years I have amassed a variety of knowledge and specific skills that allow me to assist You to assist yourself. My connection with the profound energetic guidance that I refer to as Sounds From Source since 2004 and the high levels of information which are channeled to me and the vibrational sound programs that have been created from that guidance allow me to work with you on the deeper levels of life and more. This alliance with Sounds from Source covers all possible bases as to why something may be occurring in your life and allows the solving of often deep seated issues by the using the unique Sounds from Source programs to balance any energetic or metaphysical requirements on the physical, mental, spiritual and emotional levels and beyond. In being able to look deeply into the issues which may be holding you back, or preventing you from moving forward, and utilizing what I refer to as ‘High Order’ programs, much can be uncovered that may have remained hidden, and in being ‘uncovered’ can be dealt with to allow you to move forward or take back control in your life. I am not going to tell you a lot about me, this is about you. I have listed some areas below that may ‘ring a bell’ or turn on a light for you as you recognize them within yourself. You may have you gone from modality to modality, and practitioner to practitioner looking for answers or knowing that there is something more. Often described as the Practitioners Practitioner; You may be a practitioner yourself looking for clarity or an inner knowing, or even feel burdened by the often onerous energetic drains of being a practitioner and supporting many clients. Your session for YOU, What are the pressing needs that you would like to address? Together we can create a session for you, based on the areas below. I will work with you to assess the areas that you feel are out of balance or ‘not quite right’ in your life, and then make recommendations as to the best course of correction. Please note that these sessions are coming from a metaphysical and energetic viewpoint, they do not fit into the ‘box’ of mainstream modalities. I have done my best to describe who these services would fit. If you are drawn to them – then take that as your cue that they may be what you are have been searching for and could hold some or all of the answers and help that you seek. Not sure where to start? This is a general introductory session with Sheila.